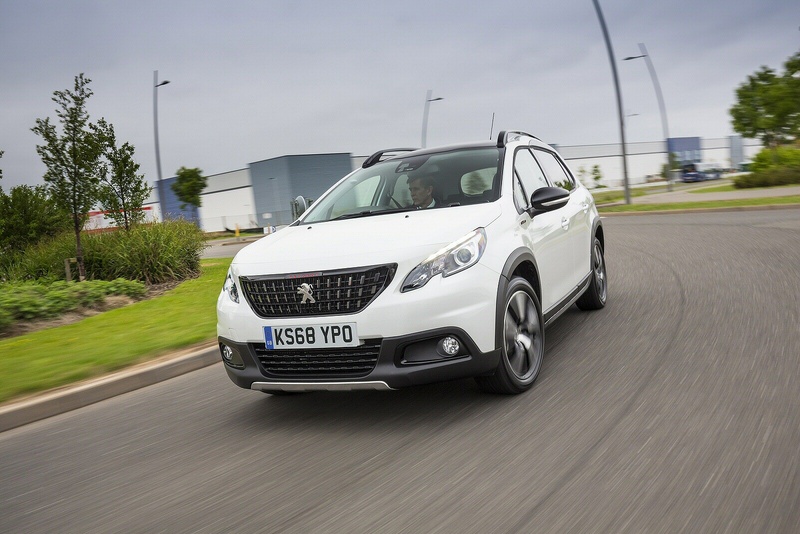 Peugeot's improved 2008 is a small SUV that offers an arguably more sophisticated take on the kind of little urban SUV-style design popularised by cars like Nissan's Juke. Supermini-based, it offers all the advantages of that compact runabout you were thinking of, together with the kind of added space, style and light off road driveability you probably never expected to be able to enjoy on a small car budget. Here, we try the diesel version, the BlueHDi 100. Fashion can take many forms, especially when it comes to segments in the automotive market. 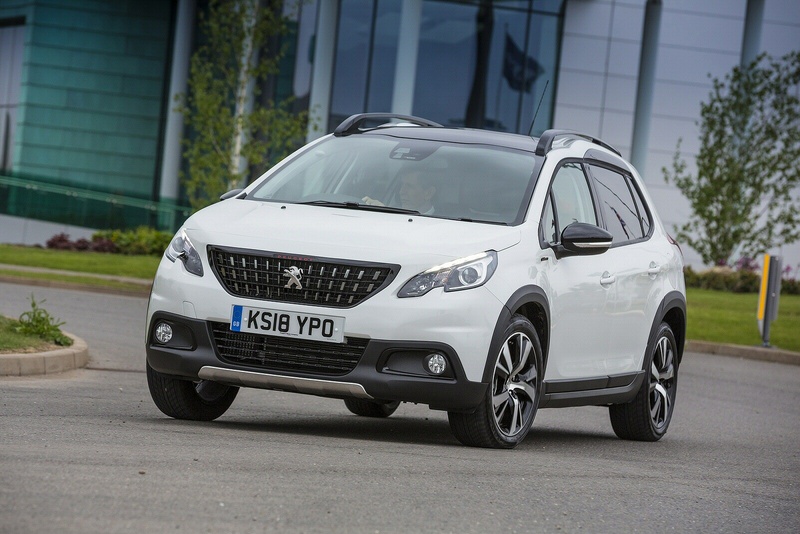 Here, we're going to look at one of them, the supermini-based compact Crossover, epitomised in this case by this improved first generation version of Peugeot's 2008. If you're shopping for a model of this kind, you'll probably have noticed just how quickly this category is growing. Back in 2010, Nissan's Juke set the ball rolling, showing other brands that if you took a supermini and re-bodied it with more adventurous, higher-set 'SUV-style' looks, then strong sales would inevitably follow. Since then, we've seen a wide variety of different approaches in this sector and to keep competitive, Peugeot has in recent times been significantly updating the engine range available in this 2008 model, a programme of improvements that culminated in mid-2016 with the launch of this facelifted first generation version, a car with smarter styling, stronger standards of safety and extra media connectivity. We tried this model complete with the 1.5-litre BlueHDi 100 diesel unit. This variant manages up to 67mpg on the combined cycle and up to 86g/km. 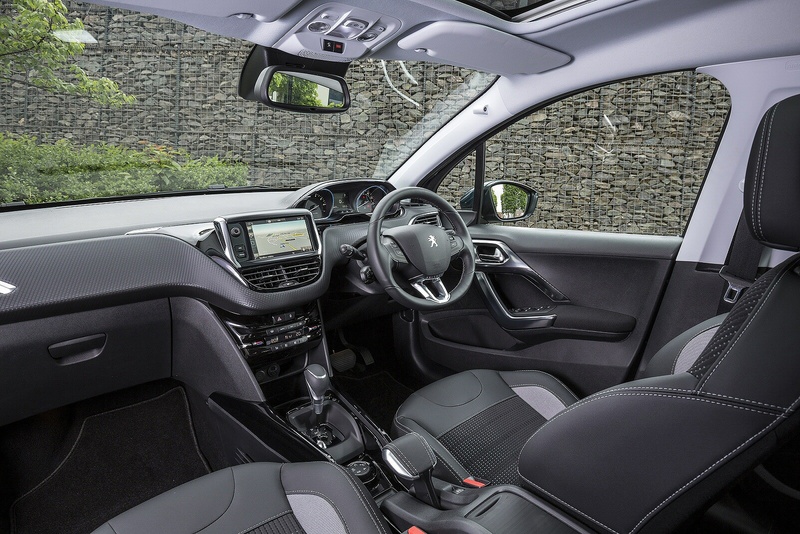 On the move, the higher, more commanding driving position and mildly SUV-style feel of this model have been achieved without too many obvious changes to the nippy, well balanced handling of the 208 supermini from which this car is largely derived. Under the bonnet, quite a lot's changed since this 2008 model's original launch, thanks to the introduction of PureTech petrol and BlueHDi diesel technology. 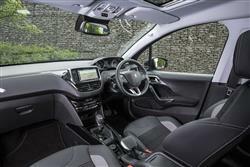 This 1.5-litre BlueHDi 100 variant is offered with a 5-speed manual gearbox. In this form, the car can tow up to 1,260kgs and manages performance returns of 10.6s and 113mph. There's also an auto transmission option. That leaves only the question of off-tarmac prowess. Yes, despite the fact that there's no 4WD option on this car, you do actually get some, provided you specify one of the up-market trim levels that come complete with Peugeot's proven 'Grip Control' system. By braking a wildly spinning front wheel, this set-up works with the standard ESP stability control programme to transfer torque to the tyre with most traction and this, along with standard 'Mud & Snow' tyres, is enough to enable negotiation of some surprisingly sticky situations. If you're one of those people who like the idea of a small Crossover-class car but think more ostentatiously-styled contenders in this class like Nissan's Juke and Ford's EcoSport look rather silly, then the subtly fashionable shape of this Peugeot 2008 will suit you perfectly. The changes made to this improved model mostly centre on the front end where the restyled bonnet no longer features a Peugeot lion badge. That's been moved to the centre of this smarter, more distinctive grille that brings the look of this model into line with that of the brand's second generation 3008. Let's take a seat inside. The feeling you get at the wheel of this car has always been one of the things most likely to sell it to you and the key thing you'll immediately notice here is this car's unusual so-called 'i-Cockpit' interior design, something that's always been a major talking point with this model. You must view the dials over the top of the steering wheel rim and initially, it can take a bit of adjustment and fiddling around until you get to the point where you can see the gauges properly, something not everyone may be able to manage completely to their satisfaction. There's reasonable space in the rear - and a decent-sized 422-litre boot. At the lower end of the 2008 range, pricing that starts at under £14,000 makes this one of the most affordable small Crossover models out there. Of course, you'll need to pay a lot more than that for this top diesel version. Think in terms of needing a budget of around £20,000 for the 'Allure' version we tried, with a further £1,000 necessary if you want the sportier-looking 'GT Line' variant. There's no automatic gearbox option: you'll need a petrol variant to get that. The 'Allure' derivative gets front and rear scuff plates and wheelarch extensions, plus you're also entitled to niceties like 17-inch alloy wheels, auto headlamps and wipers, tinted rear windows, dual zone air conditioning, power-folding mirrors and rear parking sensors. In addition, there's Peugeot's clever 'Grip Control' system too, which optimises traction based on selectable settings for different kinds of terrain. Stretch up to 'GT Line' trim and you get more dynamic detailing, a Cielo panoramic glass roof, satellite navigation, a reversing camera and sports pedals. If you're thinking of buying this 2008 as a slightly more versatile alternative to Peugeot's 208 supermini, then one of the most important things you'll want to know about is just how much of a running cost penalty will be exacted by this Crossover model's 85kgs of extra weight. Fortunately, it's not too significant: think in terms of a downside of no more than about 5%, which is good news if you like this car because it's engines are now amongst the cleanest and most frugal powerplants you'll find in this market segment. This BlueHDi 100 variant manages up to 67mpg on the combined cycle and up to 86g/km of CO2. Insurance is rated at group 22A. What else? Well, as usual, a new 2008 will come with the usual three year/60,000 mile Peugeot warranty including roadside assistance. And you can expect residual values after the usual three year ownership period to be pretty reasonable by class standards - the predicted 46% figure is on a par with rivals like Nissan's Juke, Renault's Captur and Kia's Soul. If you�re looking for a new Peugeot 2008 1.5 BlueHDi 100 Active 5dr [5 Speed] Diesel Estate for sale, you�ve come to the right place. 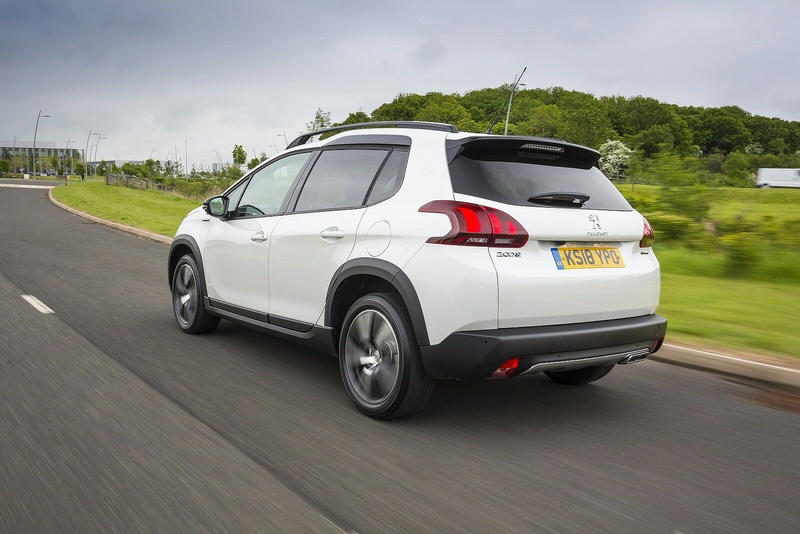 At Bristol Street Motors we don�t just have the best Peugeot 2008 1.5 BlueHDi 100 Active 5dr [5 Speed] Diesel Estate deals, we also offer friendly advice and help with all your enquiries to ensure your buying experience is a happy experience.